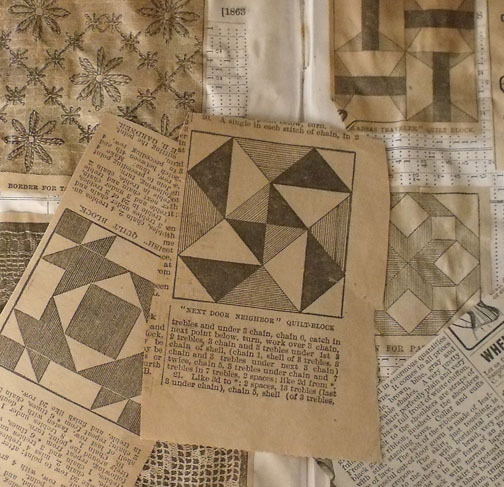 A rather popular pattern in the 20th century. 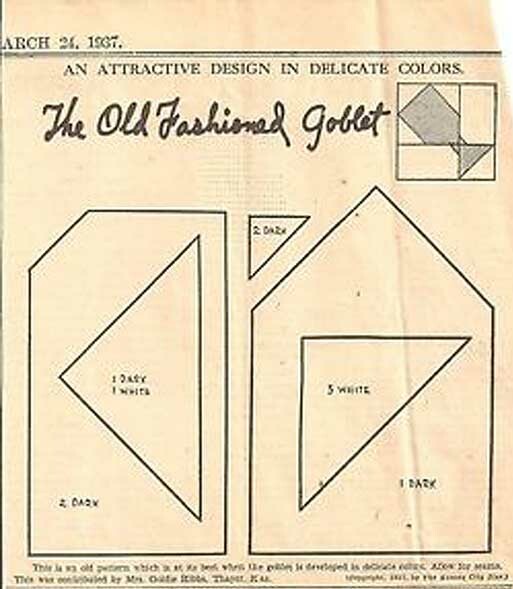 American Woman magazine, August 1907. 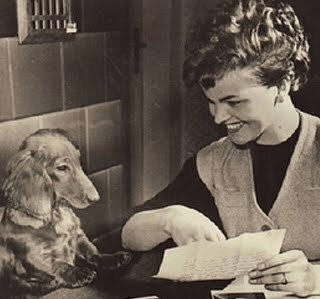 Mrs. E.C. Turner of Nunda, Illinois asked the editor for a Tumbler Design in 1906. 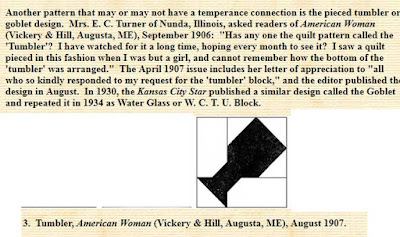 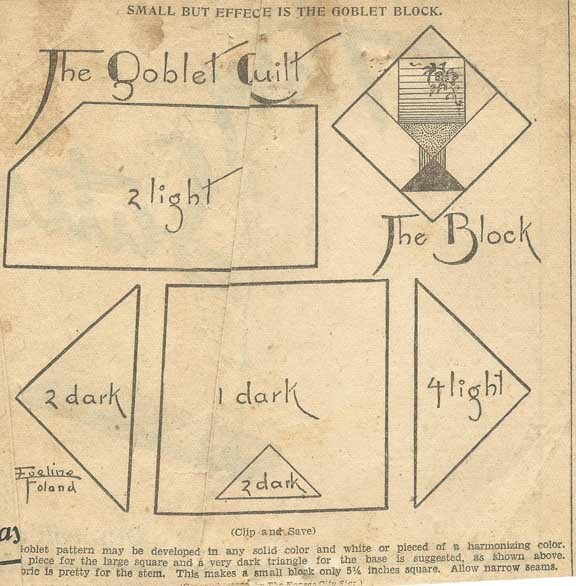 I wondered if she meant the other Tumbler design, which was quite the fashion for charm quilts at the time. 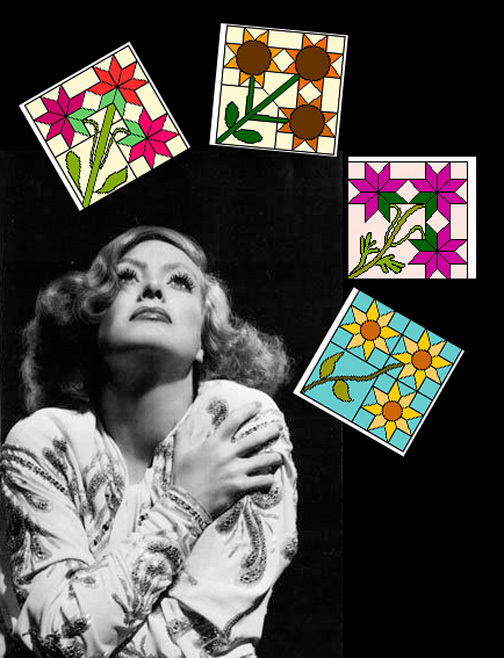 But apparently this is what she wanted. 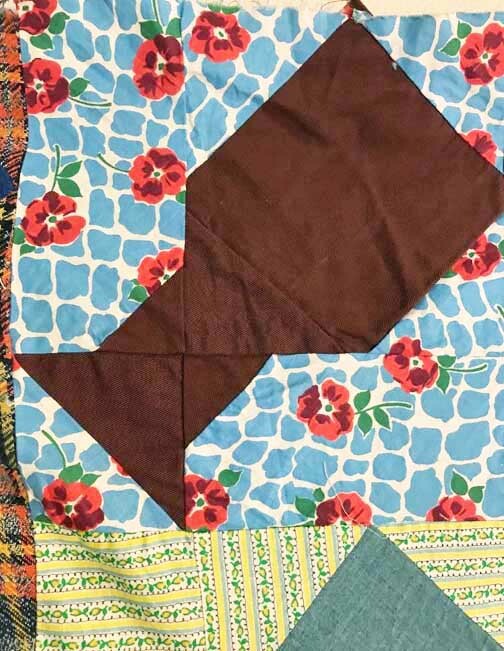 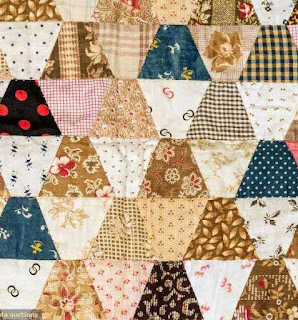 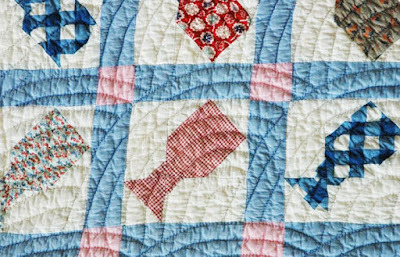 "I saw a quilt pieced in this fashion when I was but a girl, and cannot remember how the bottom of the 'tumbler' was arranged." 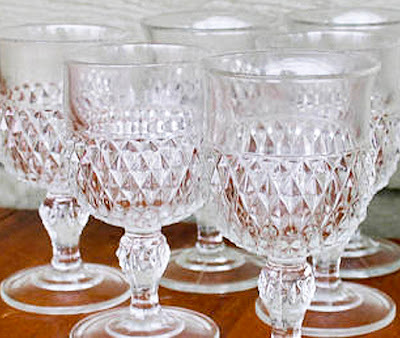 A tumbler was what we might call a glass or goblet. blues, grays, blacks and reds. Purchased in Ohio, from the Arizona project & the Quilt Index. 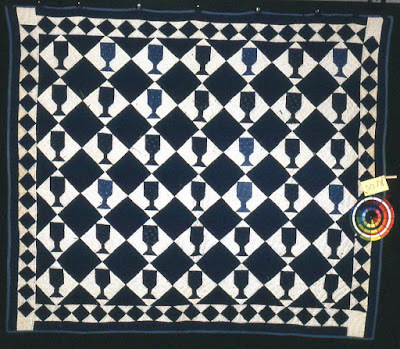 A sampler of indigo blues. 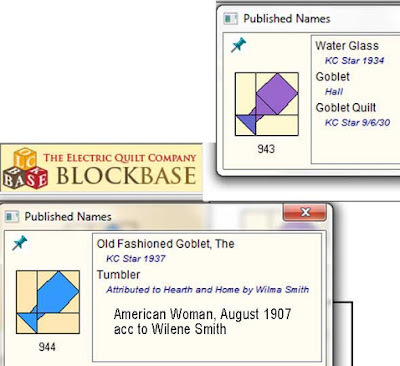 for the Kansas City Star. 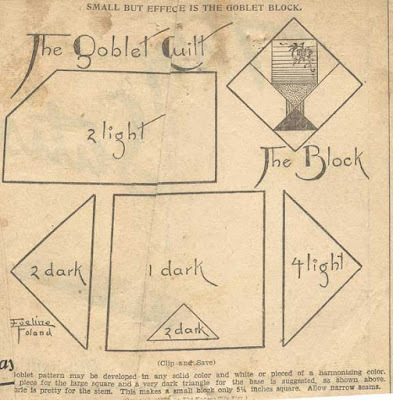 pattern in the goblet. Her block is in the Spencer Museum of Art. 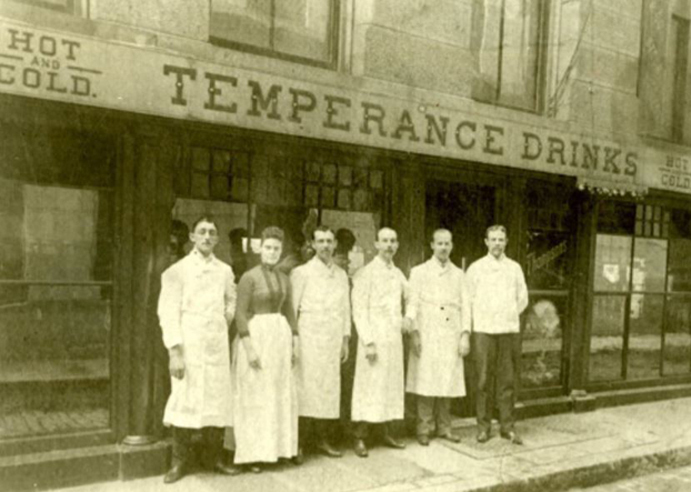 that advocated water as the beverage of choice. 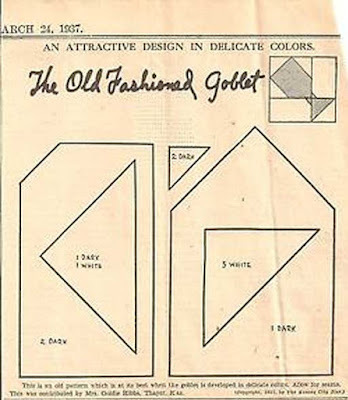 A few years later a reader contributed a variation of the pattern with one less seam. the temperance crusade. 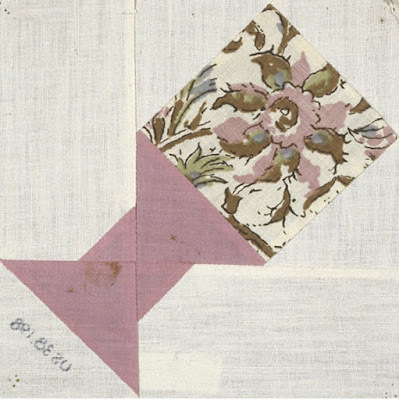 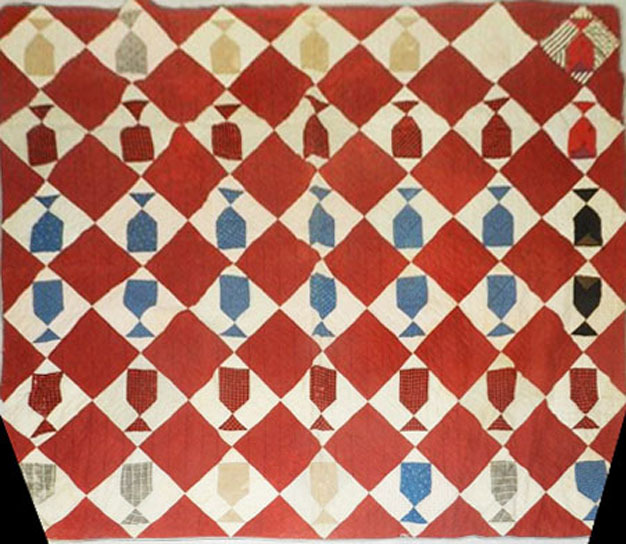 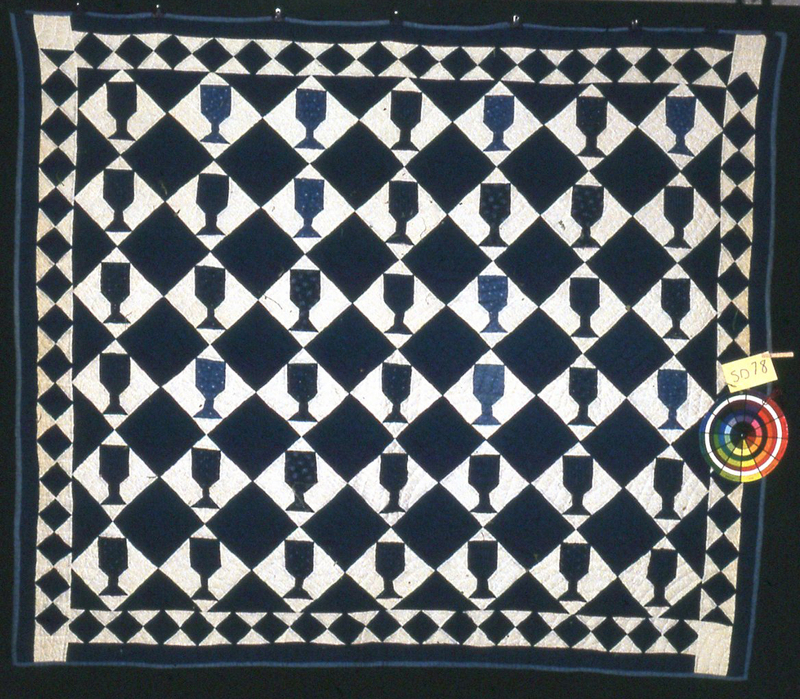 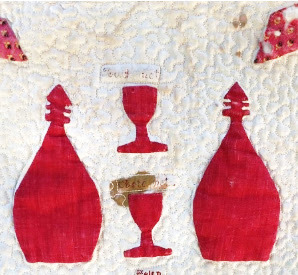 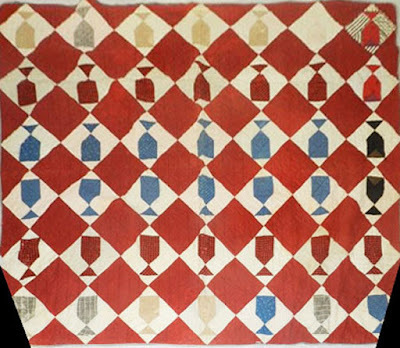 The image of an appliqued footed glass is found earlier in quilts.